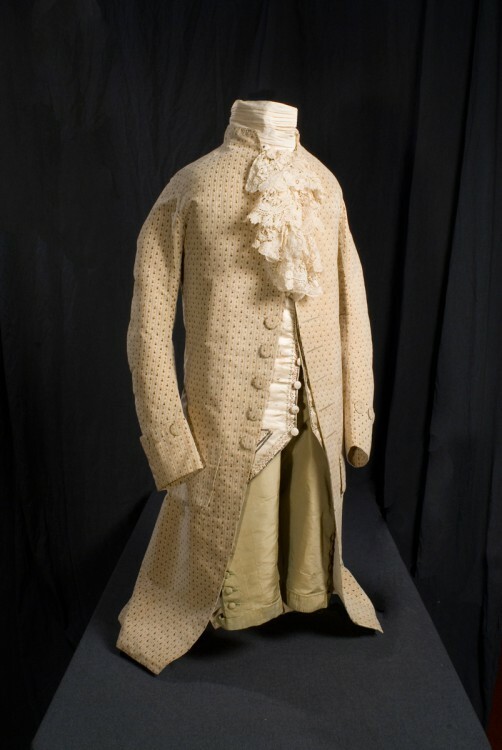 According to Jay family tradition, this silk suit, made in the French taste, was worn by John Jay on the day in 1782 when Benjamin Franklin introduced him to the Foreign Minister of King Louis XVI of France. Jay and Franklin were in Paris for the negotiation of the treaty that would end the Revolutionary War. The suit is very faded in color: when new, it was a light pastel green.